Pastor Joseph K. Joseph is the founder and Senior Pastor of the International Pentecostal Assembly. He has served as the Senior Pastor since 1972. His love for the Lord and for those around him is evident in all that he does. His greatest joy is serving the Lord and the Lord's people. 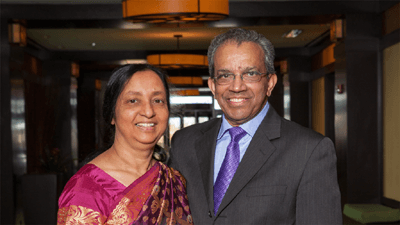 In 1969, the late Pastor K. E. Abraham, founder of the Indian Pentecostal Church of God, prayed over and sent Pastor Joseph to Chicago for theological studies. Pastor Joseph graduated with his theological degree from Chicago Bible School in 1972. He went on to do postgraduate studies at North Park Theological Seminary. Pastor Joseph has a heart to see God's people grow in love for the Lord, each other and the world around them. He and his wife, Mercy, have faithfully served the church and have been actively involved in all aspects of ministry. 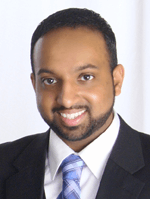 Pastor Joshua K. Joseph came on staff as a full-time pastor in 2015. He graduated with his baccalaureate from Christian Life College in 2011 and is currently pursuing his Master of Divinity degree at Trinity Evangelical Divinity School. His passion for the word of God is evident as he preaches and teaches from the scriptures. Pastor Josh firmly believes in the power and potential of the local church to transform lives through the faithful proclamation of the word of God.